Graded EX-MT 6 by PSA. 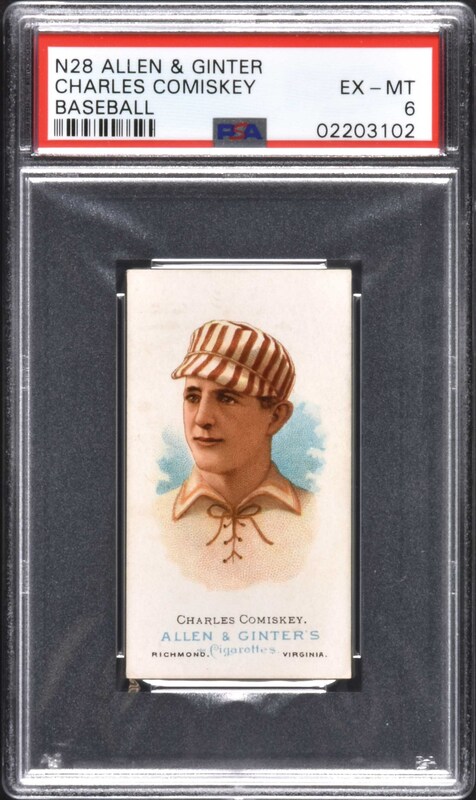 High-grade example of this early classic card of Hall of Famer Charles Comiskey issued during his playing days. As first-baseman/manager of the St. Louis Browns of the American Association, Comiskey led the Browns to AA League Championships in 1885, 1886, and 1887. Bright, crisp, and clean with a striking portrait image, vibrant colors, and light wear on the corners (a bit more on the lower left). 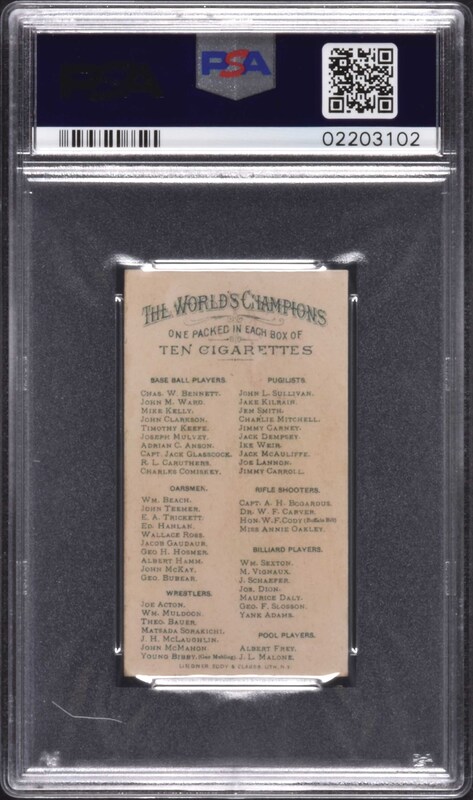 The checklist reverse has a touch of paper loss that has impacted the letter “E” in the word “Cigarettes.” This is a very attractive high-grade example of one of Charles Comiskey's most popular cards and one of the few dating from his playing days. Reserve $500. Estimate $1,000+.